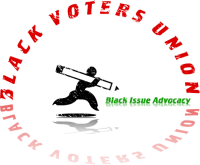 The Black Voters Union (BVU) organizes for fundamental economic justice grounded in democracy, social change, human rights and redistribution of power for black tax payers. The foundations of effective economic justice & social change are education, community building, and organizing. Contact info@chicagolandbcc.org for membership info.